1. To access the web management page, open a web-browser and enter the default domain name http://mwlogin.net in the address field. 2. A login window will appear. 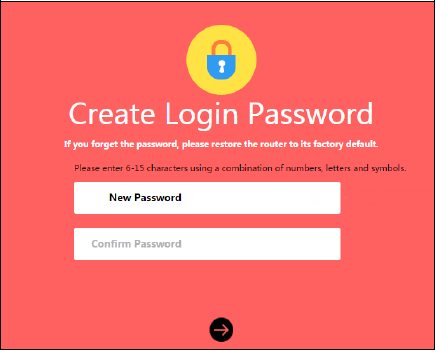 Create a login password when prompted. Then click . For subsequent login, use the password you have set.